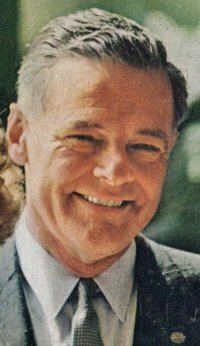 Many other biographies of notable members can be found on our News page. Since the inception of the San Luigi Orders, they have brought together members of different religious interpretations, and in the case of the Order of the Lion and the Black Cross, extended their outreach to non-Christians. The San Luigi Orders have maintained an orthodox Catholic perspective on the Faith throughout, and are not responsible for the individual religious views that may be held by their members. 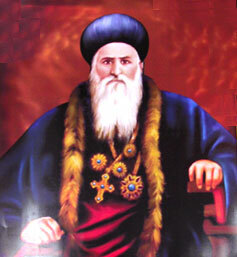 Kadavil Paulose Mar Athanasius (Kadavil Kooran) (1833-1907), was Metropolitan of Kottayam in the Syrian Orthodox Church. He was a Patron of the Order of the Crown of Thorns and received that Order from Prince-Abbot Joseph III in a ceremony in Columbo on 30 May 1892. 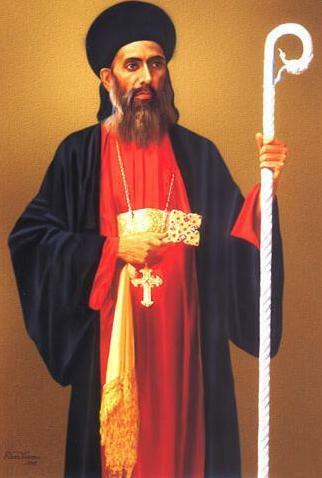 He was ordained deacon on February 15, 1846 by Cheppad Mar Dionysius and priest at the end of January 1854 (Makaram 6, 1029 in the Syriac calendar) by Mar Kurillos Yuyakkim Bava. Patriarch Moran Mar Ignatius XXXIV Boutros III/IV ordained him Ramban at the Mulanthuruthy Marthoman church in July 1876. On November 3, 1876, the Patriarch Moran Mar Ignatius XXXIV Boutros III/IV ordained him as Metropolitan at the St.Thomas church, North Paravur, and appointed him Bishop of Kottayam. This diocese had been formed in 1876 as a result of the decision of the historic Mulanthuruthy Synod. 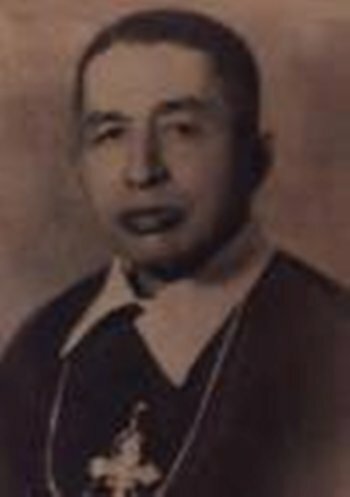 From 1891 onwards Kadavil Paulose Mar Athanasius assumed the additional responsibility of Ankamali, the largest diocese in the Malankara church. It was during the time of Kadavil Thirumeni the construction of St. Mary’s church at Thrikkunathu, Alwaye was completed. One of the last wishes of the Metropolitan was to start a seminary at Aluva for teaching Syriac and English for clergy as well as for the laity. With this in mind he donated all his remaining properties and assets to the seminary, which he had inherited from his family. He was a consecrator of Mar Julius I Alvarez in 1889 and of Prince-Abbot Joseph III in 1892. On Saturday, 2 November 1907, Kadavil Paulose Mar Athanasius died at the age of 74. 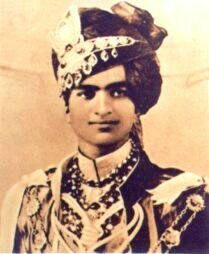 His mortal remains were interred in the northern side of the Madbho. Malankara Metropolitan Pulikottil Mor Dionysius Joseph (also a member of the Order of the Crown of Thorns) led the last rites of the Metropolitan. The tomb of the Metropolitan was later modified when the church was reconstructed by Kuttikkatil Paulose Mar Athanasius. In 2004, Kadavil Paulose Mar Athanasius was canonised by the Syrian Orthodox Church. Moran Mor Ignatius Pathros (Peter) IV (sometimes counted as III) (1799-1894), who led the Syrian Orthodox Church for 22 years as its supreme head (1872-94), was the 116th in the line of canonical Patriarchs of Antioch in the Apostolic See of St. Peter. He is regarded as the architect of the modern Syrian Church. He is popularly known as “Peter the Humble”. The Patriarch was responsible for the re-foundation of the Order of the Crown of Thorns in 1891, appointing Prince-Abbot Joseph III (who had been consecrated on his mandate) as its Grand Master, and became one of its Patrons. Born in a well known Christian family of Turabdin in south east Turkey, he spent his childhood days at the Mor Hananyo Dayro (Deir al-Za`faran Monastery) which was the centre of the Syrian Church for many centuries. His priestly formation was at this monastery. He was consecrated as Mor Yulius, Bishop of Taifat Alsrien Al-Qadima in 1846 by Moran Mar Ignatius XXXII Elias II, Patriarch of The Syrian Patriarchate of Antioch and All the East between 1838 and 1847, who also appointed him “Julius, Metropolitan of the World”. Between 1850 and 1875 he was Superior-General of The Orthodox-Catholic Guild of S. Columba of Iona. As the diocesan Metropolitan he succeeded in settling the row with the Roman Catholic Church and recovered many of the ancient Monasteries and churches which were under dispute. 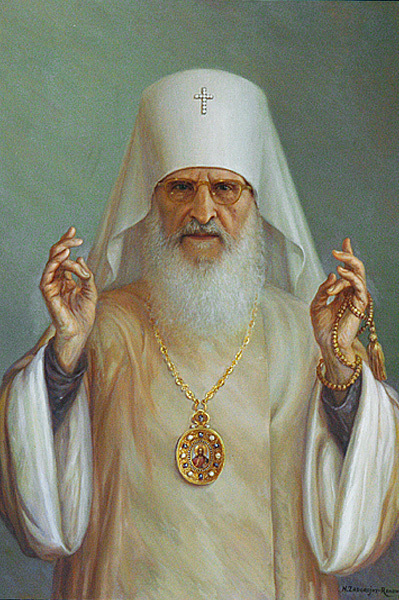 It was during his stay at Constantinople that his immediate predecessor Patriarch Mor Yakub II passed away. Because he had difficulty making the long journey to Mardin he informed the Synod of his inability to attend the patriarchal election. But the Synod’s unanimous decision was to elevate Mor Yulius as the next Patriarch; a decision which he politely refused to accept. However under repeated persuasion, he agreed to abide by the decision of the Holy Episcopal Synod. 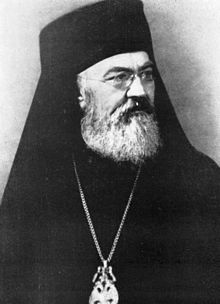 That title of “Metropolitan of the World” reflected Mor Yulius’s ecumenical ambitions. He had wished for the reunion of Christendom, and accordingly sought to promote a “Reunion Movement” that would bring Orthodoxy to the West, gaining the support of his Patriarch for this mission. However, since his charge did not permit him to leave Syria, he was compelled to look for a man who would be able to fulfil such a mission on his behalf. When he met the former Presbyterian missionary and Roman Catholic priest Jules Ferrette (1828-1904) in 1865, he felt that he had found someone worthy of this trust and capable of achieving its aims. In the event, Peter the Humble would be the progenitor of not one but two Western missions, the second under Prince-Abbot Joseph III, each of which shared the common characteristic that it was not a local branch of the Syrian church, but an indigenous and autocephalous Roman Rite entity that was Orthodox in faith but Western in character and mission. At last on 16th June 1872, on the day of Pentecost, he was enthroned as the 116th Patriarch of Antioch at the ancient St. Mark’s Dayro in Jerusalem. The Patriarch after his enthronement went to Amida (Omid / Dierbakir) and stayed there for a short period. The Dayro there was reconstructed under the advice of the Patriarch. 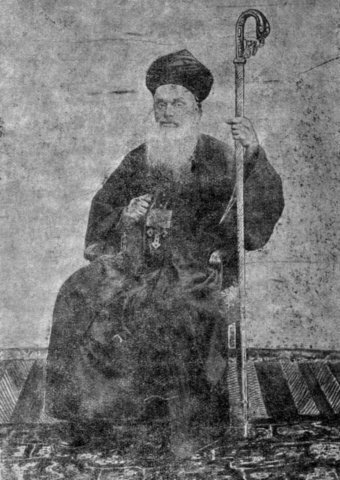 In 1872 His Holiness ordained Rabban Abdul Sattuf as Metropolitan with the name Mor Gregorios for the Archdiocese of Jerusalem and then left for Constantinople. Through the exertion of His Holiness, the Syrian Christians received direct representation at Constantinople (recognition as an independent millet in Ottoman Turkey) and were honoured with other exclusive rights, thus fulfilling the long standing aspirations of the community. During 1875-77 the Patriarch was in India resolving the situation that had developed regarding the Malankara Archdiocese. His work revived the Syrian Church in this area and set in place developments that would lead to its further stable growth. After this he returned to Constantinople where he established a new church in the name of the Mother of God. While residing there, Ramban Elias who later became the Patriarch of Antioch and the all the East (St. Ignatius Elias III) stayed with him for a while. Later the Patriarch left for Mor Hananyo Dayro where he consecrated Holy Myron again. The holy father spent the remaining years in this monastery. Peter the Humble would explicitly advocate ecumenism on a scale that is astonishing for his time. He was invited to the 1892 Old Catholic Congress at Lucerne, but could not be present; nonetheless he sent a letter of support for the objects of the Congress. That same year, he wrote to the Apostolic Delegate of the Near East and told him he was willing to submit to the Holy See. He offered to give up his position as Patriarch in favour of a lesser role as Catholicos or Exarch of Syria in order to unite with other Orthodox, but the political pressure placed on him by the Turks precluded this. The proposals of Peter the Humble were not merely ahead of their time, but, as history has proved, almost entirely without precedent or successor; a totally exceptional approach to the insular understanding of the Orthodox faith of his time and a progressive vision of the means by which that faith might be nurtured. 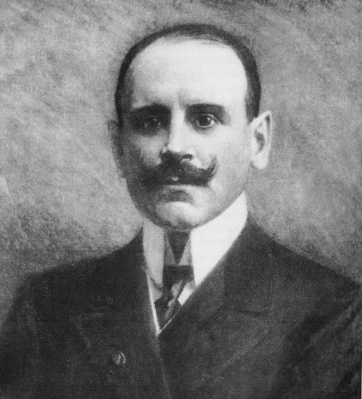 At 4.00 am on Monday, October 8, 1894, Moran Mor Ignatius Pathros IV passed away. He was then about 96. The mortal remains of the holy Patriarch were interred at the Mor Hananyo (St. Ananias) Dayro, which is also known as the Kurkkuma Dayro orDeir al-Za`faran Monastery. This ancient monastery is situated today in south east Turkey. 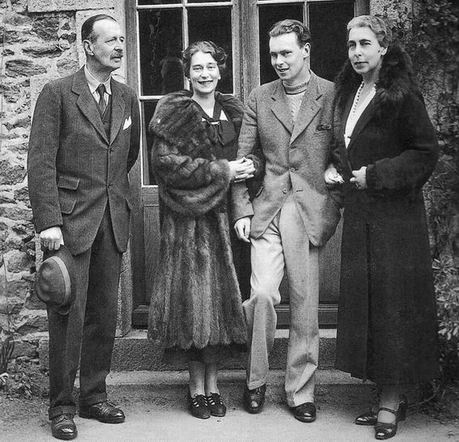 Grand Duke Cyril Vladimirovich of Russia (Russian: Кирилл Владимирович; Kirill Vladimirovich Romanov; 12 October [O.S. 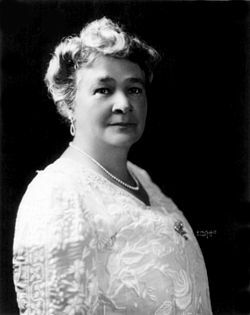 30 September] 1876 – 12 October 1938) was a member of the Russian Imperial Family. After the Russian Revolution of 1917 and the deaths of Tsar Nicholas II and his brother Michael, Cyril assumed the Headship of the Imperial Family of Russia and later the title Emperor and Autocrat of all the Russias. Grand Duke Cyril was a member of the Order of the Crown of Thorns. He was responsible for the bestowal of several honours upon Prince-Abbot Edmond I, including the Commander’s Cross with Plaque of the Imperial Russian Order of St Stanislas “for foreigners” (22 February 1922), Grand Cross of the same Order (1936), member of honour of the Association Patriotique Russe “Nicholas II”, category Section Armes Imperiale (1936), Commander with plaque, Order of St Vladimir of Kiev, with the first class ribbon of Romanov (1935) (the order was under High Protection of King Alexander of Serbia with the supreme approval of Grand Duke Cyril), Hereditary Knight with Cross of the Order of the Compassionate Heart (1936) (Russian Veterans’ Society) with, by order of Grand Duke Cyril, the Medal “pour zele et assistance” in gold, on the ribbon of the Order of St Andrew, 1st class. Grand Duke Cyril was born in Tsarskoye Selo. His father was Grand Duke Vladimir Alexandrovich, the third son of Tsar Alexander II and Maria Alexandrovna of Hesse. 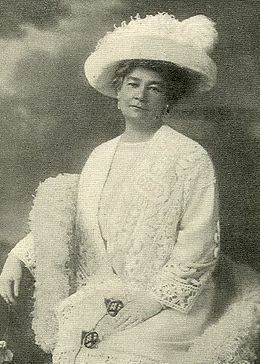 His wife was Duchess Marie of Mecklenburg-Schwerin (later known as Grand Duchess Maria Pavlovna), the daughter of Friedrich Franz II of Mecklenburg-Schwerin and Princess Augusta Reuss-Köstritz. 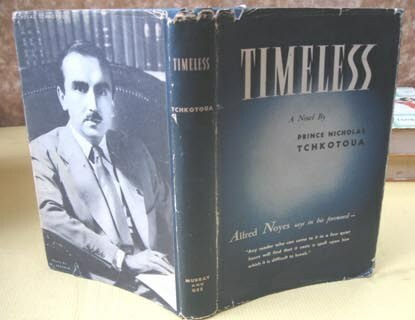 As a grandson in the male line to a Russian Tsar, he was titled Grand Duke, with the style Imperial Highness. 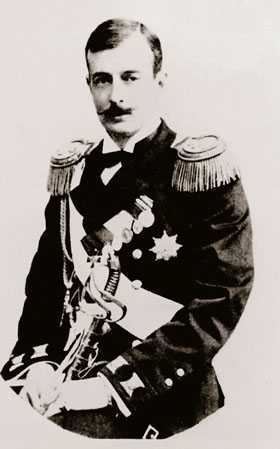 After graduating from the Sea Cadet Corps and Nikolaev Naval Academy, on January 1, 1904, Cyril was promoted to Chief of Staff to the Russian Pacific Fleet in the Imperial Russian Navy. With the start of the Russo-Japanese War, he was assigned to serve as First Officer on the battleship Petropavlovsk, the ship was blown up by a Japanese mine at Port Arthur in April 1904. Cyril barely escaped with his life, and was invalided out of the service suffering from burns, back injuries and shell shock. Grand Duke Cyril married his first cousin, Princess Victoria Melita of Saxe-Coburg and Gotha on 8 October 1905. Victoria’s father was Alfred, Duke of Saxe-Coburg and Gotha, the second eldest son of Queen Victoria. Victoria’s mother was Grand Duchess Marie Alexandrovna of Russia, a daughter of Tsar Alexander II and Cyril’s paternal aunt. The marriage caused a scandal in the courts of European royalty as Princess Victoria was divorced from her first husband, Grand Duke Ernst Ludwig of Hesse, also her first cousin. The Grand Duke of Hesse’s sister was Tsarina Alexandra Fyodorovna, the wife of Nicholas II. The Tsarina already disliked her former sister-in-law and first cousin, being instrumental in leading the opposition to the marriage in the Russian court. 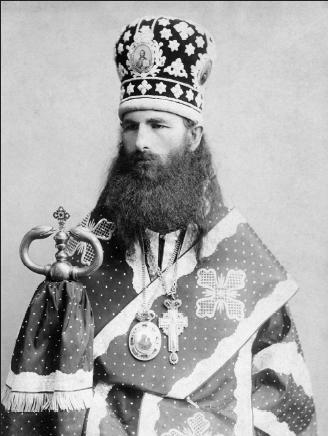 Shortly after returning to Russia, the Tsar stripped Cyril of his imperial allowance and style Imperial Highness, his honours and decorations, his position in the navy and then banished him from Russia. However in 1908, after the death of Grand Duke Alexei Alexandrovich had put Cyril third in the line of succession to the Imperial Throne, Nicholas II restored Cyril to his rank of Captain in the Imperial Russian Navy and his position as aide de camp to the emperor. His wife came into favour, and was given the title Grand Duchess of Russia and from then on was styled as Her Imperial Highness Grand Duchess Viktoria Feodorovna. From 1909-1912, he served on the cruiser Oleg and was its captain in 1912. In 1913, he joined the Maritime Division of the Imperial Guards and was made Commander of the Naval Guards in 1915. During the February Revolution of 1917, Cyril came with his regiment to swear allegiance to the Russian Provisional Government, wearing a red band on his uniform. 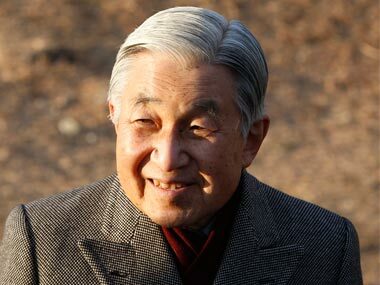 This caused grave offence to some in the Imperial Family and led to some members shunning him as legitimate heir to the Throne. After the October Revolution, Cyril and Victoria fled to Finland, then Coburg, Germany. Eventually the exiled family moved to France where they stayed for the rest of their lives. On 8 August 1922 Cyril declared himself “Curator of the Russian Throne,” a title which he had devised himself. Two years later, on 31 August 1924, he went a step further and assumed the title Emperor and Autocrat of all the Russias. Though by the laws of the Russian Empire, he was the prime claimant after the execution of Tsar’s family by the Bolsheviks, his claim to the throne was met with opposition because at his birth his mother was a Lutheran and not yet a member of the Russian Orthodox Church. After claiming the throne, he became known as the “Soviet Tsar” because in the event of a restoration of the monarchy, he intended to keep some of the features of the Soviet regime. 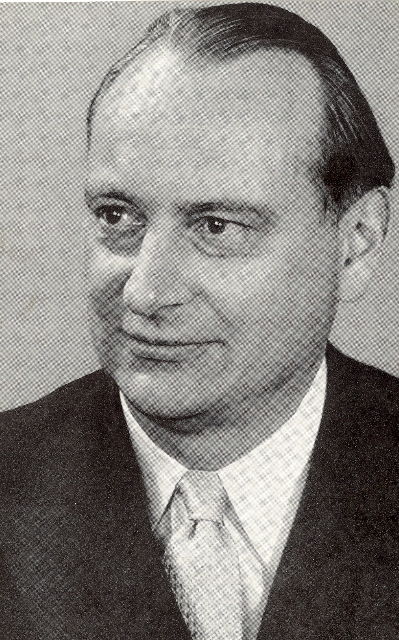 Cyril’s son Vladimir Kirillovich succeeded him as head of the Romanov dynasty, although this was contested by some members of the Romanov family. Following the fall of the Soviet Union, the remains of Cyril and his spouse were transferred from Coburg to the Grand Ducal Mausoleum of the Peter and Paul Fortress in St. Petersburg, Russia. John Steele Henderson (January 6, 1846 – October 9, 1916) was a Representative for North Carolina in the United States House of Representatives. He was a member of the Order of the Lion and the Black Cross. Born near Salisbury, Rowan County, North Carolina in 1846, the son of Archibald and Barbara Bynum Henderson, John S. Henderson attended a private school in Melville, N.C. He entered the University of North Carolina at Chapel Hill in January 1862 and left in November 1864 to join the Confederate Army as a private in Company B, Tenth Regiment, North Carolina State Troops.He served throughout the Civil War, and graduated in Law from the University of North Carolina in 1865 without reentering. Henderson obtained a County Court license in June 1866 and a Superior Court license in June 1867, and was appointed in June 1866 as Register of Deeds for Rowan County, North Carolina, in which capacity he served until September 1868, when he resigned. Henderson was a delegate to the State constitutional convention in 1875, became a member of the State House of Representatives in 1876, and served in the State Senate in 1878. He was elected by the General Assembly in 1881 as one of the three Commissioners to codify the statute laws of the State. 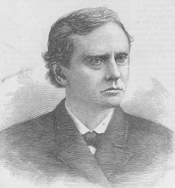 In June 1884 Henderson was elected Presiding Justice of the Inferior Court of Rowan County. He was elected as a Democrat to the Forty-ninth and to the four succeeding Congresses (March 4, 1885-March 3, 1895). 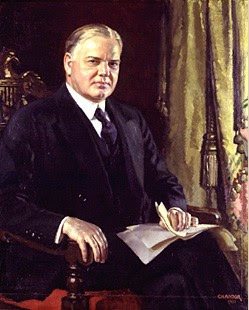 He was appointed Chairman of the Committee on the Post Office and Post Roads (Fifty-second and Fifty-third Congresses). He resumed the practice of law in Salisbury, N.C., and was elected to the State Senate in 1900 and 1902. In 1900 he became a member of the Board of Aldermen. John S. Henderson died in Salisbury, North Carolina on October 9, 1916, and was interred in Chestnut Hill Cemetery. 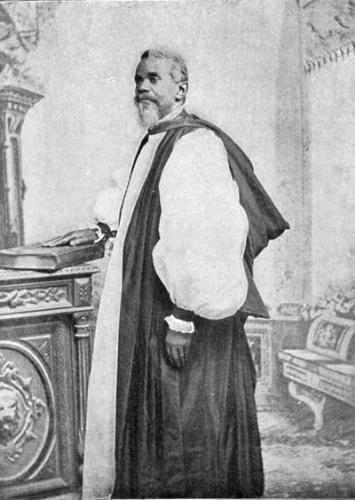 Bishop James Theodore Holly (1829-1911) was the first African-American to be consecrated bishop in the Protestant Episcopal Church of America. He was a Patron of the Order of the Crown of Thorns. His parents were of African descent and were Roman Catholics. He was educated at public and private schools and by tutors in Washington, New York City, Buffalo, and Detroit. 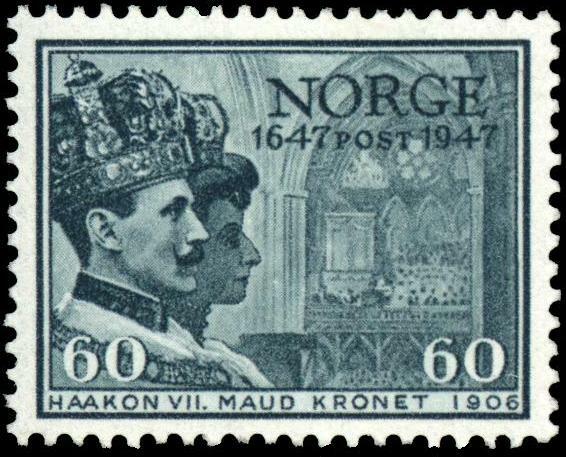 In 1851 he withdrew from the Roman Catholic Church and entered the Protestant Episcopal Church. From 1852 to 1853, he was associate editor of The Voice of the Fugitive, a weekly paper, published at Windsor, Ontario. In 1854, he was principal of a public school in Buffalo. He studied theology, and was ordained deacon on 17 June 1855 and presbyter on 2 January 1856. He was rector of St. Luke’s Church, New Haven, Connecticut, from 1856 until 1861, when he was sent to Haiti as a missionary. He served as consul for Liberia at Port-au-Prince from 1864 until 1874, in which year he was made missionary bishop of Haiti by the Protestant Episcopal Church. In 1878 Holly went to England as a delegate to the Lambeth Conference. He received the degree of D.D. from Howard University, Washington, D.C., in 1874, and that of LL.D. from Liberia College, Monrovia, in 1882. He contributed to the Church, the Church Eclectic, and the African Methodist Church reviews.